Have you ever visited the lovely site Broma Bakery? I'm sure the you have more than guessed that I have. AND that I have pawed at the screen like a feral cat. 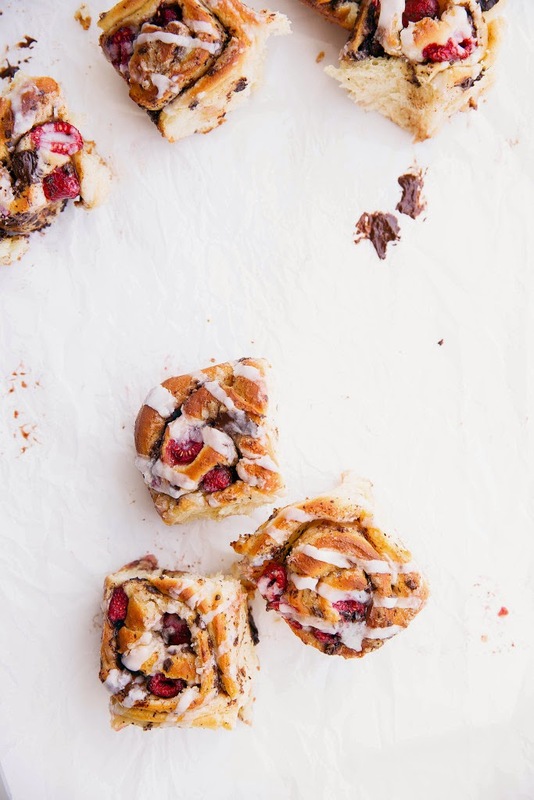 Right now, the above (Dark Chocolate Raspberry Sticky Buns) are happening over there. The RECIPE is over there as well. Once you revive yourself after looking at the photos, maybe you will be inspired to bake them. Please bake extra and eat them for me. I am currently on the road and nowhere near an oven. I suppose I could knock on a strangers door and ask to borrow their kitchen, but that would mean I'd have to share and clean up.